At age 11, Steve found an old guitar in the basement and has been playing ever since. 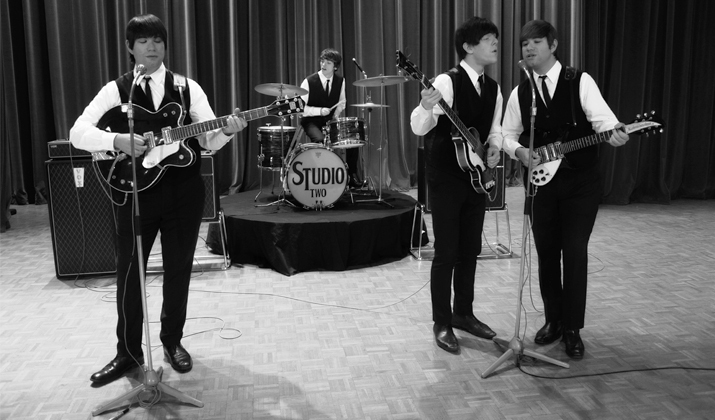 A fan of many music genres, he became a Beatles fan after watching The Beatles Anthology documentary series in November 1995. 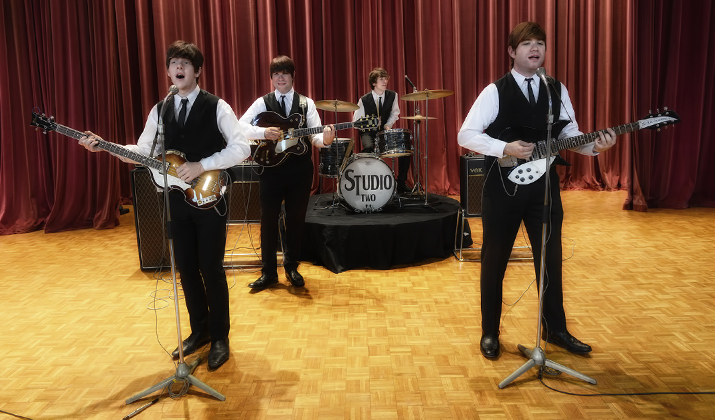 His grandfather bought him and his identical twin brother (who plays George Harrison in Studio Two) their first guitars; a Rickenbacker and Hofner bass, and took them for private guitar lessons. 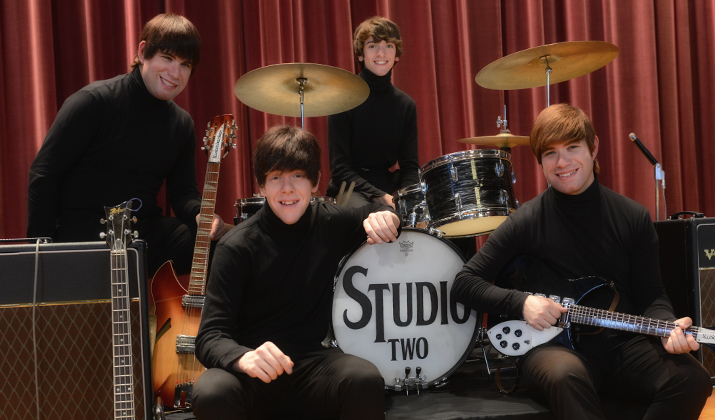 By the age of 12, the brothers were winning talent shows and band competitions for playing Beatles tunes. 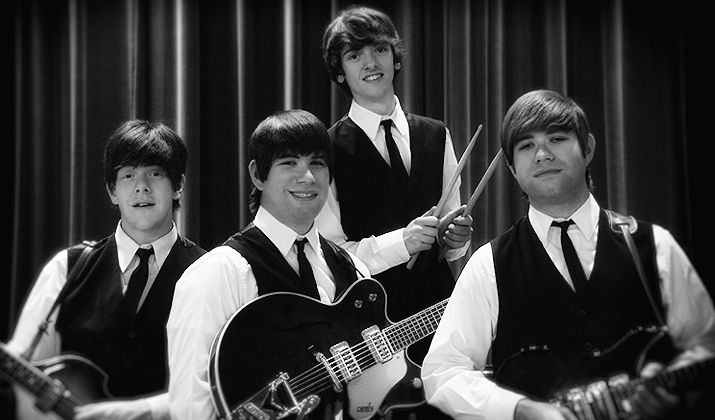 Throughout high school, Steve played drums in an award-winning percussion ensemble and marching band, but never strayed far from his true passion of Beatles rock. 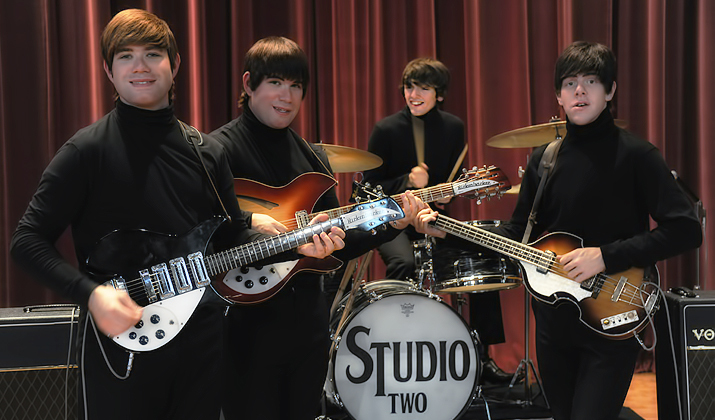 An accomplished musician, Steve attended Berklee College of Music and played jazz and alternative rock music before co-creating Studio Two - The Beatles Tribute with his band mates. 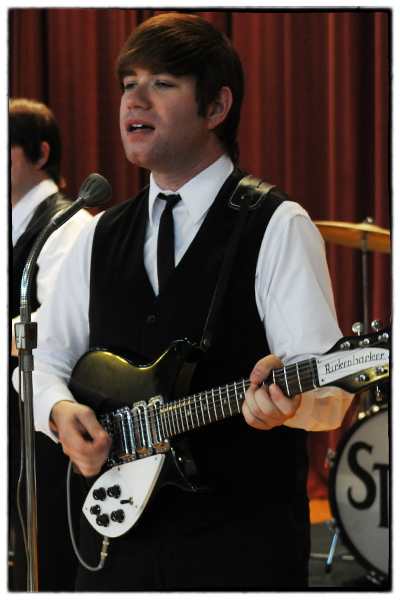 In addition to playing John Lennon, Steve is a live sound engineer and currently serves as the band’s booking agent.